Beautiful from every side, 4” Thick Stair Treads provide a bold appearance. Strength exudes from these robust treads, constructed in over 20 wood species and completely sanded and finished on all 6 sides. Craftsmanship shines through the details, including ¼” radius smoothing on every edge. 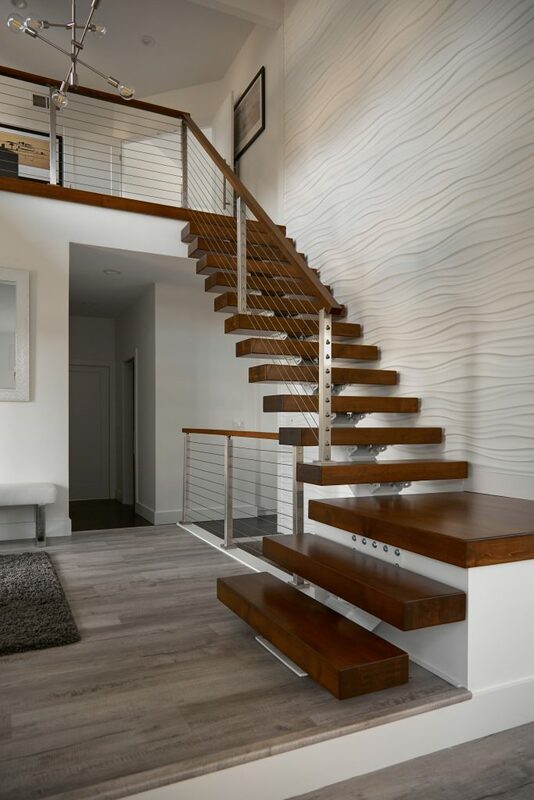 Make your statement with these stunning thick treads, perfectly paired with Viewrail Flight floating stairs and Viewrail cable railing. 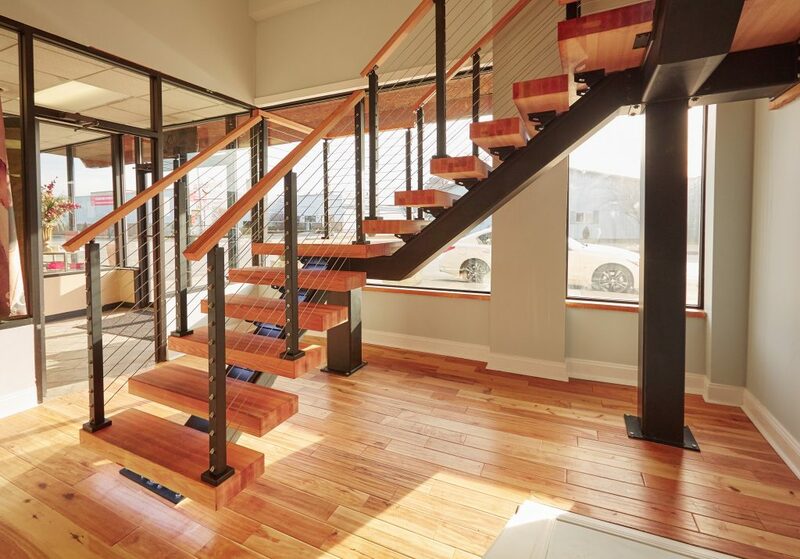 Our 4” Thick Stair Treads add a modern, strong appearance to both Traditional and Floating Stair Systems. To mount thick treads on traditional stairways, be sure to read about Returned Edges on the Specifications tab above. Floating Staircases may require specific notches for mounting thick treads, depending on the system you use. We are happy to accommodate requests for notches, grooves, or other special indentations to help the mounting process. Give us a call for more details. Double Return thick stair treads are used when both edges of the tread are exposed on a traditional stairway. This style of tread requires a special measurement called the “throat cut”, which you will need to provide when you place your order. To find the throat cut of your Double Return tread, measure the length between the inside of the Left and Right Returned Edges. In the end, the final width of a Double Return Thick Tread equals the Throat Cut measurement plus 2 ½” (1 ¼” per Returned End). 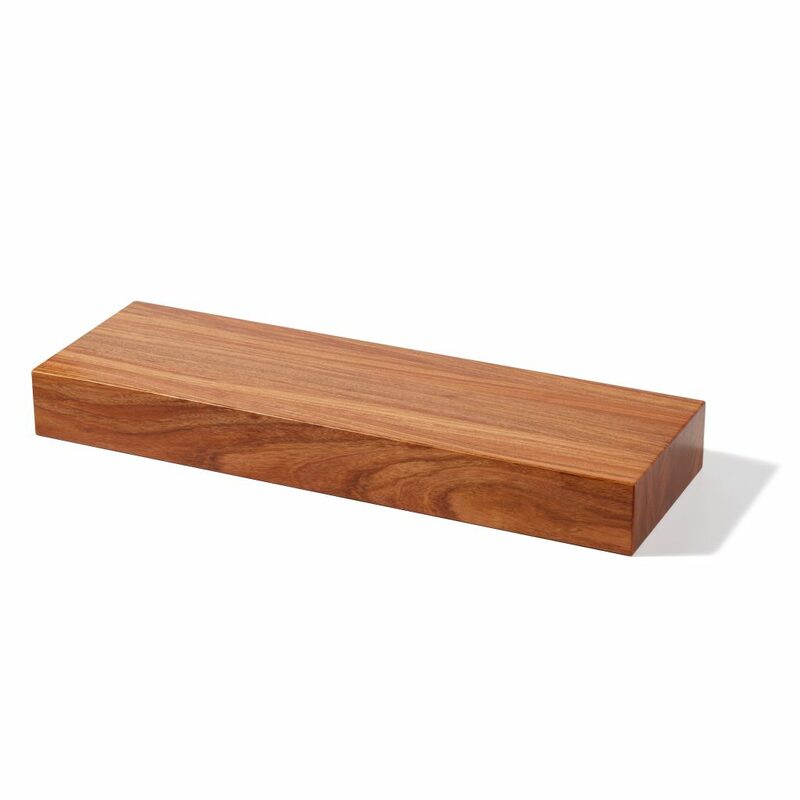 I’m interested in purchasing the paint grade butcher block style of this product. 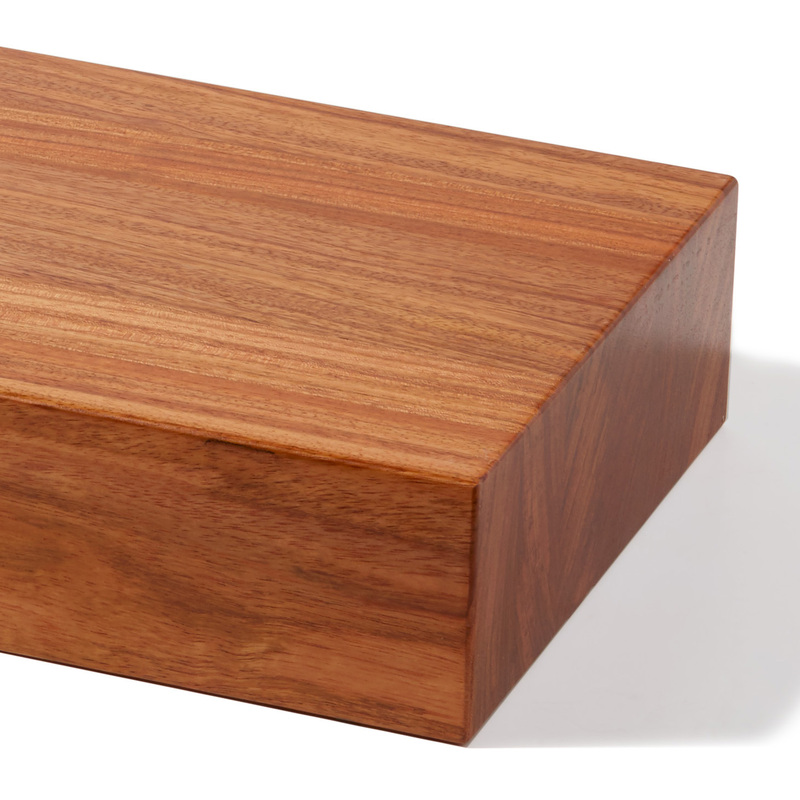 Can you tell me what wood type(s) are used in the creation of this item? Paint Grade products are made of Poplar or Soft Maple. Even though we offer Paint Grade treads, we don’t recommend them because the wood is soft and is easily dented. Treads take a beating over time, and so the paint grade wood would likely have many dents due to the heavy use that treads endure. Please let us know if there’s anything else we can help you with. how far can a 4″ tread span between stringers? Terry, thanks for the question. We can manufacture our 4″ treads up to 72″ wide standard, and have made custom orders longer than that. You will need to consult an architect or structural engineer to determine the maximum safe distance in your specific project. Are the actual finish dimensions 4″ x 11 1/4′ or are these nominal dimensions? Thanks for the question Shan. 4″ x 11 1/4″ are the actual finish dimensions.